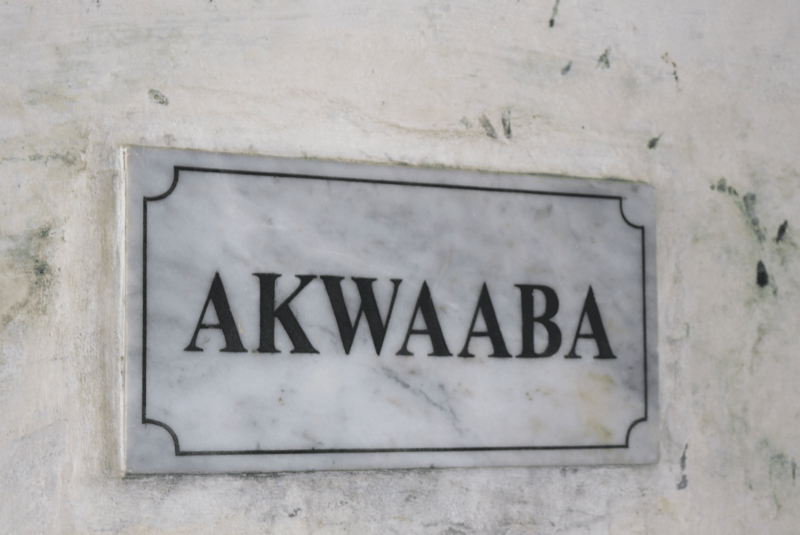 Outsourcing Software to Ghana? Yes Ghana!! That’s the sentence that comes to mind every time I begin to write or speak about growing IT scene here in Ghana. The second thing that comes to mind is, there are legitimate reasons why Africa’s entrance into the global software market has been so slow to come. Still, momentum continues to grow in places like Kenya, Nigeria, South Africa and Ghana every day and it’s just a matter of time before African software companies take their place in the global marketplace. First up, government: This is a mixed bag as the government thankfully takes the desired ‘hands off’ approach to the IT industry. Were the government fails the industry is in basic services, infrastructure, and legal structure. Things like power outages (common in Ghana) don’t help clients outsourcing software to Ghana, but can be overcome through generators, but a total lack of IP protection makes it difficult to for the IT sector to mature. Still, software teams don’t need much from the government and the biggest win is that the government generally stays out of the way. Next is education: This is where much of Africa, including Ghana, is sorely lacking. IT university programs are everywhere, and yet the graduates are generally unfit for the problem-solving nature of software development. They learn largely by rote, and can be well versed in things like networking technologies but have great trouble when faced with a complicated challenge that has lots of moving parts and interdependencies. And let’s face it, that describes 90% of all software development. Now on to culture. There are some big plusses and the big minuses here. Throughout Africa, people share stories of questionable work ethics with a combination of frustration and amusement. It can be hard to find hard-working software professionals who exhibit professionalism to a western standard. That said, the challenges of daily life in Ghana have produced a lot of innovation and thinking out of the box. People are used to working around obstacles in creative ways, which can translate well into software development culture so long as reasonable professionalism is also in the mix. Another frustrating element of outsourcing software to Ghana is Ghanians loose interpretation of ‘timeliness’, and seeming unwillingness to commit to meetings or calls at specific times. This is a real problem, although it’s easily fixed through training and education. And really, if only 1% of the workforce learned to operate at adequately professional level, that would be a huge workforce. 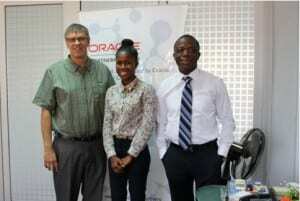 Dave meets with an impressive software team in Accra, Ghana. Let’s finish with the good elements of the culture in Ghana: Ghanians are extremely pleasant, good communicators, speak English, and are generally nice to be around. That means a lot. They’re also in a convenient time zone, and Ghana is an absolutely lovely place to visit. Very encouraging. So while the majority of Ghanian software companies simply aren’t ready to take outsourcing work from the international market, a growing number of them are ready and can be an excellent and very cost-effective solution. We have a small but growing number of professional, competent, and skilled partners in Ghana and we expect the industry there to continue growing at a good pace. It will be a few years before Ghana can develop a reputation as a solid IT outsourcing destination, but the next time I hear someone say, “Outsourcing software to Ghana?? ?” my response is, “Yes, it’s in its infancy but going to grow quickly”.